AMERICAN EXPRESS TRAINS. : "LEAVING THE JUNCTION." 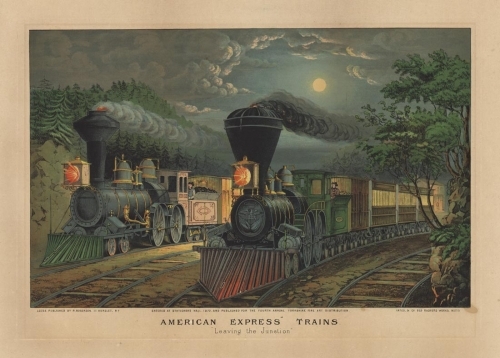 Lithograph printed in color, 1872. Image size 13 7/8 x 22" (353 x 559 mm).